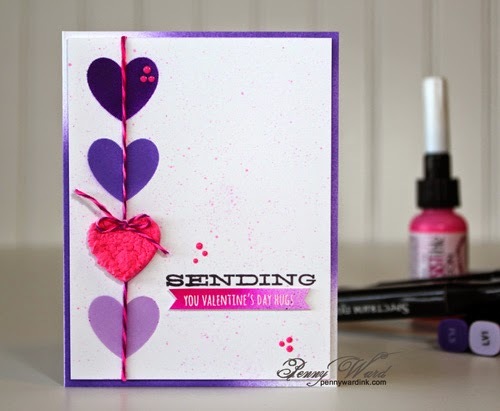 Valentine's Card from Guest Designer - Penny Ward! Welcome our Guest Designer - Penny Ward! Penny has joined us today with a beautiful Valentine's Day project! 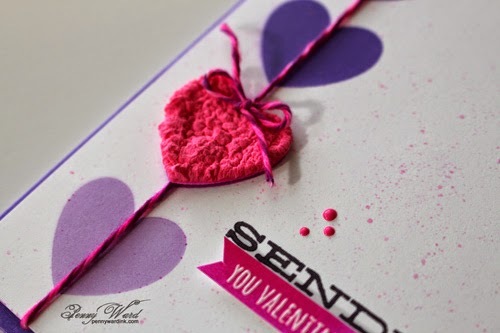 Please leave her a note and let her know that you too are enamored with her card! Hello eBrush friends! Penny Ward here today as a Guest Designer and I am so thrilled to have been invited. 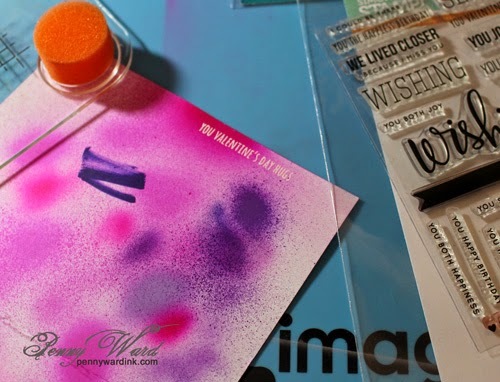 I have been using the eBrush for a couple of months now, and it has become my favorite card making tool. 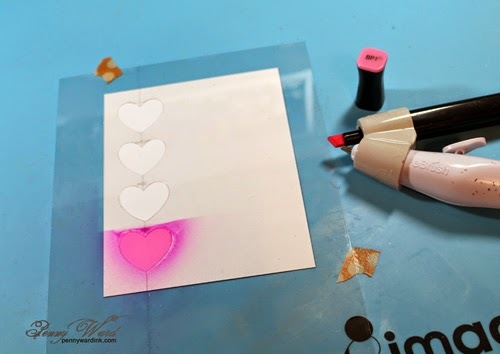 I love using stencils with my eBrush and I usually end up making my own with thin metal dies and clear acrylic cardstock. Run a baby wipe over it when you are finished and it is ready to use again. 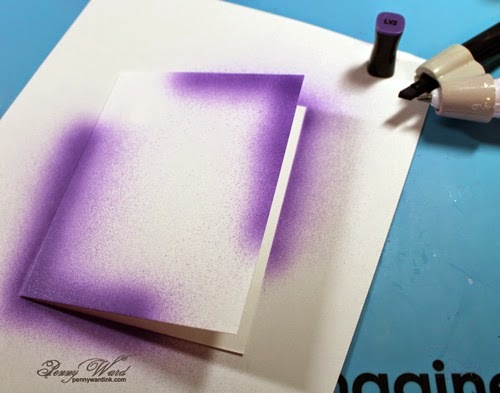 I love the look of splatters on my cards and it is so easy to make your own “paint” with a little water and irRESISTible spray, reinker or an ink pad. A portion of my sentiment has been heat embossed, trimmed and popped up with foam adhesive. I love using my practice scraps for sentiments or embellishments. Don’t limit your eBrush to just paper. 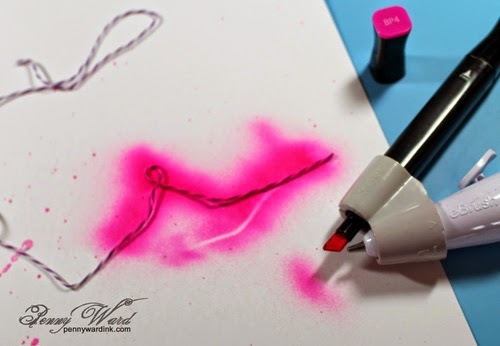 How about color matching your twine? My base card is White cardstock cut to 5.5 x 8.5 inches, then folded in half. eBrush opposite corners for an unusual look, then adhere card front to base with foam adhesive. Make a tiny bow from leftover twine and adhere to puffy heart embellishment. 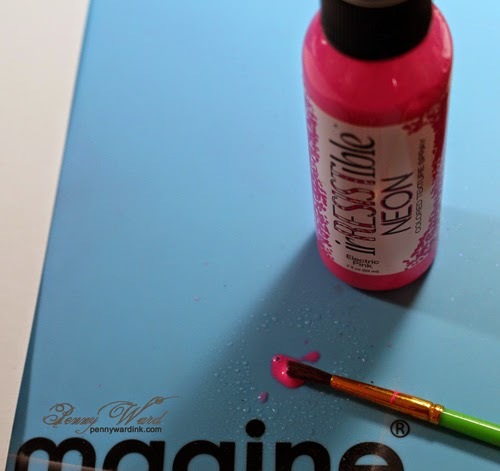 Place small dots of irRESISTible Pico Neon Pink as desired. I hope you picked up a tidbit or two from my creation today. We would love to see what you are working on with your eBrush. Visit our eBrush by Craftwell Facebook page and post a picture….you just might be our next Guest Designer. Thank you so much Penny for sharing this wonderful project! I bet that many will try some of the great techniques you shared! Looove it, awesome color combo too! This is so awesome and love the cool techniques Penny used to create this loveliness!!!! Beautiful!! One day I will own one of the Ebrush machines!! LOVE this beautiful card and the Amplify ROCKS! TFS!